Anyone who has read my book The Way of Beauty knows that I consider myself unliterary. I have never much enjoyed reading poetry or “great-book” fiction, and I managed to get through high school and university without doing a single literature class. Woody Allen was once asked if he had any regrets and replied that he did - he wished that he had never read Beowulf. 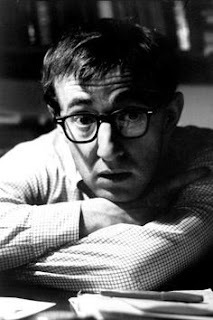 I am one up on Woody Allen: I have never read Beowulf and have no intention of ever doing so. I was not always so firm in the conviction that literature isn’t for me. When I left university, I did wonder if I had missed out and decided that I would start to read some literary greats. So, for several years afterward, going to and from work on the Tube, I often pulled out a Penguin Classic and buried my nose in it (and hoped people would notice, of course). I found that if I persevered I might enjoy it to a degree, but in the end, I decided, it wasn’t worth my effort. The purpose of reading novels and poetry, it seemed to me, was primarily entertainment. Certainly, there were lessons about life, the universe and everything that could be drawn from great literature, but given that there were other ways to learn those lessons, why bother puzzling over a poem that seemed to me to be written to mystify rather than reveal the truth? I found it far more stimulating to read about the important things in life directly in Scripture, or theology or philosophy books, or the Catechism of the Catholic Church, than to winkle them out from some impenetrable text. So, I gave it a fair go and concluded that high literature isn’t for me. I don’t feel I'm missing out - I can enjoy music, art, architecture, a beautiful garden, a walk in the country, or many other aspects of the culture, high and low (I play the banjo and secretly sing along to 1970s disco greats such as Shalamar and The Real Thing in the car! 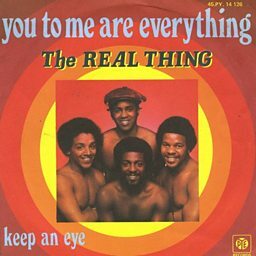 The Real Thing are the second best band to come out of Liverpool, by the way). But please, don’t invite me to a poetry recital. I should say, at this point that I am aware that not everyone is like me, nor should they be. Many people love literature and derive great pleasure from reading it, and provided that the reading contributes in some way to the highest end, the worship of God in the liturgy - as all human activity should - then I say, follow your passion! 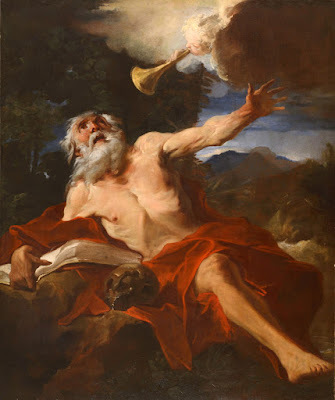 There is one exception to my literary philistinism, and appropriately, that is the poetic form that is associated with the man who defeated the Philistines in battle, David. 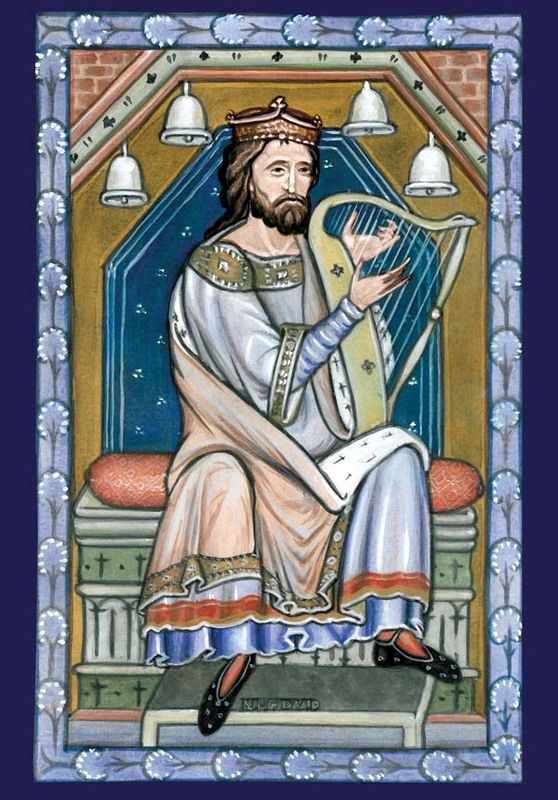 I love the Book of Psalms and the canticles from Scripture that are sung in the Divine Office. For me, they are a well of wisdom and inspiration that can never run dry and which flows from the pages like honey. I reflect on this now because I am currently sitting in on Father Sebastian Carnazzo’s course, The Psalms in Words, Images, and Prayer, offered by Pontifex University. 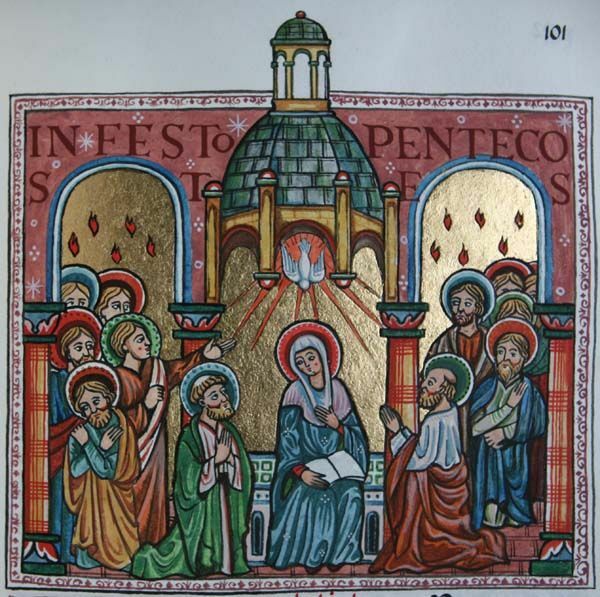 (I am teaching too, cover the traditional illumination of Psalters as part of the class). I am only partly through it, but am finding it hugely enriching. A couple of things have struck me particularly so far. First is that the fact there is no existing pure and unadulterated original text from which all translations derive. The oldest texts we have are themselves three, four or who knows how many more steps removed from the original composition, given to us by the work of scribes or translators. And do we know that the “original” was even written? Perhaps it was first preserved through an oral tradition. This lack of a first text should not be a cause of worry; God can inspire scribes and translators too. He does not reveal anything new by this, but rather, guides them so that their work of inscription and translation can be done well. 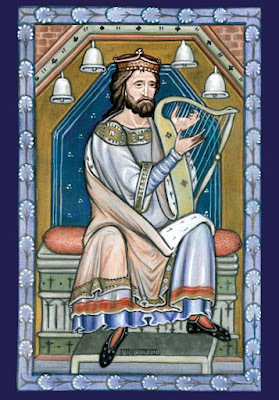 Second is that the poetic structure of the Psalms is much more related to a thematic pattern than it is to a pattern of the language itself. The Psalms don’t rhyme, for example; they use devices such as synonymous parallelism in which the thought of the first line is repeated in different words in the next line or lines. There are a number of other such thematic devices, by which themes are contrasted, reinforced and developed. The great value of this approach is that unlike rhyme, it is relatively easy to bring across into a translation, in a way that allows the translator to express the truth elegantly and beautifully without having to compromise the sense of it. First, he should use thematic patterns as Scripture does. Not only will this prime people to receive the Word through the Psalms, but also, it will probably be more popular. Just as scripture is inspired by God, so man is made by God to respond to it and to be sensitive to its structure. If the Psalms can appeal even to a philistine like me, then perhaps, so could your poetry could too if you use a similar device! Second, it will be easily translated, and so potentially reach a much wider market and transcend its own time. Such your writing will speak of God in the four corners of the world; it will declare the works of the Lord amongst all peoples! People of all nations will understand it; and if you declare the truth, generations through all time will delight in its form.